Mesa-based Fuchsia Spa reported $1.15 million in sales last year. MESA – If it seems there is a salon or spa around every corner, it may be true. The spa industry generated more than $15.5 billion in 2014 – a 5.3 percent increase over the previous year, according to a report by the International Spa Association. Entrepreneurs hoping to cash in on that trend have plans to launch more than a half dozen franchise-based spas in Arizona. Mesa-based Fuchsia Spa will open its first franchised spa in Phoenix next month with plans for expansion in 37 states, the brand’s co-owner Lisa Vukonich said. The spa experienced a 10 percent increase in visitors since 2014, she said. The spa opened its first location in 2006 – right before the Great Recession – and thrived with a membership-based model that offers spa and nail services for a monthly price of $59. Scottsdale-based Massage Envy, a pioneer of the franchise and membership model, also weathered the recession and grew to more than 1,000 franchises in 49 states since opening in 2002. Last year, it awarded 56 new franchise agreements and opened 112 new clinics. 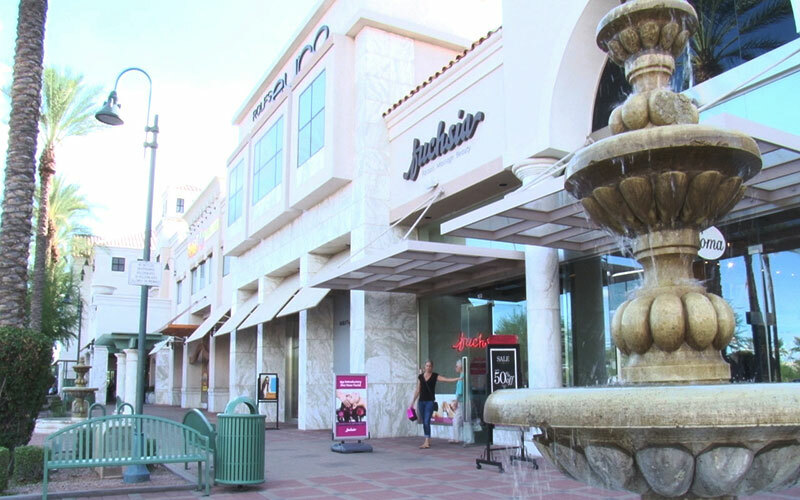 A spokeswoman said the company has two new stores planned for development in Arizona. Elements Massage, a Colorado-based spa with 200 locations nationwide, expanded its business to Arizona with 10 franchises and another four planned to open soon. Arizona’s spa industry has seen a tremendous amount of growth with consumers putting more emphasis on health and wellness, said Mia Mackman, president and founder of the Arizona Spa & Wellness Association. Popular spa destinations such as Scottsdale and Sedona are seeing business year round, Mackman said. Businesses are promoting corporate wellness programs for their employees, which also drives industry growth, Mackman said. Spas had a record high of 176 million visits with an average of $89 spent per session in 2014, according to the International Spa Association. The number of spas nationwide rose 2.4 percent in 2014 from the previous year, with an increase of 10,000 employees, according to the report. The franchised spa model is relatively new to the industry compared with hotel and destination spas, Steve Sleeper, said executive director of the Professional Beauty Association. Although it’s a smaller market, the franchised-based model is gaining popularity with local residents and customers looking for more options. “There is a niche for more flexible, less expensive spas,” he said. Tourists and business travelers typically take advantage of resort-based spas because of proximity to lodging, while franchised based spas attract local residents. Tempe resident Monica Kinney said she has seen more spas open up recently. Correction: In an Oct. 2 story about spa industry growth, Cronkite News incorrectly identified Mia Mackman’s title. She is the president and founder of the Arizona Spa & Wellness Association.